Accidents happen and most can be prevented. Protect your children from any accidental occurrences with the protection that these safety covers offer. Arctic Armor Safety Covers have a warranty life of a full 12 and 15 years. 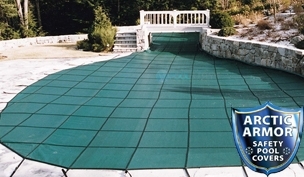 These covers are safe, durable, and have maximum strength for your children and pets. If you don't see your size listed and you need a custom cover, Click here. Complete the form and email or fax back for a FREE quote.